A new Kansas State University (KSU) study funded by Morris Animal Foundation (MAF) shows a commonly compounded antimicrobial drug used in veterinary medicine may be losing potency over time. The study recently was published in the Journal of the American Veterinary Medical Association. The KSU research team showed that compounded formulations of doxycycline lost potency within three weeks of receipt, with many dropping to sub-therapeutic content in that time, as defined by the United States Pharmacopeia (USP) standards. 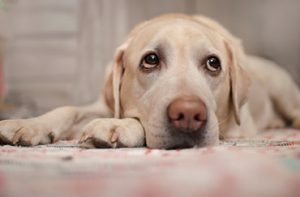 The findings could have a significant impact for practicing veterinarians who rely on this antimicrobial to treat various infectious diseases in animals, including Rocky Mountain spotted fever and leptospirosis, and as an adjunct therapy for heartworm disease. The research team at KSU included Tanner Slead, a MAF Veterinary Student Scholar, and his mentor, Kate KuKanich, DVM, Ph.D., DACVIM. The team compared FDA-approved formulations of doxycycline with compounded doxycycline obtained from three national compounding pharmacies. They measured doxycycline content one day after receipt of medication, and again at day 21. Their findings showed that the potency of drug varied between preparations at both time points.